We believe. We achieve. We succeed. 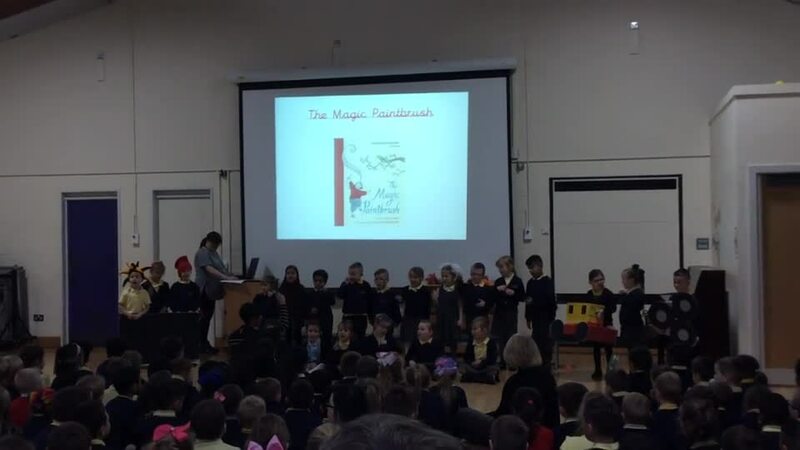 Year 1 celebrated old and new toys and re-told the story of the Magic Paintbrush. Year 4 visited Leeds City Museum as part of their Ancient Egypt topic. We looked at a mummy and got to mummify a 'body'. We had to remove all the organs. Then we looked at some Ancient Egypt artefacts. What a great day. As part of our Space topic this half term, Year 6 visited the Media Museum to attend an exciting workshop about our solar system. During the visit, children were also able to see Tim Peake's Soyuz Capsule, which is currently part of an exhibition at the museum to promote science and space exploration. We also had the opportunity to explore the 'Wonderlab' gallery, which is full of interesting practical activities relating to different areas of science such as light and sound. Year 4 Dolphins led the KS2 Harvest assembly (and Year 2 Giraffes led the KS1 assembly?). We looked at what harvest means as a Christian celebration of giving thanks for the food we grow. Harvest is also celebrated in different ceremonies around the world. In America it is called Thanksgiving, in Thailand the Fruit Festival and in China it is the Moon Festival. We would like to thank all of our families for their generous donations of food. This has been passed to The Vine to be distributed among families who have need of it. We appreciate your support. © 2019 Fearnville Primary School.